Marketers look up to MS Excel every day. The reason can be anything – from creating charts to data analysis to structure a report for the upcoming presentation. But, of course, working on Excel can be too time-consuming. Don’t you think it would be great if you could labor less formatting and entering gibberish formulas in the desktop or laptop?! Wouldn’t it be helpful if there were some keyboard shortcuts that could make the task easier and faster?! Woah! Glad you did ask! 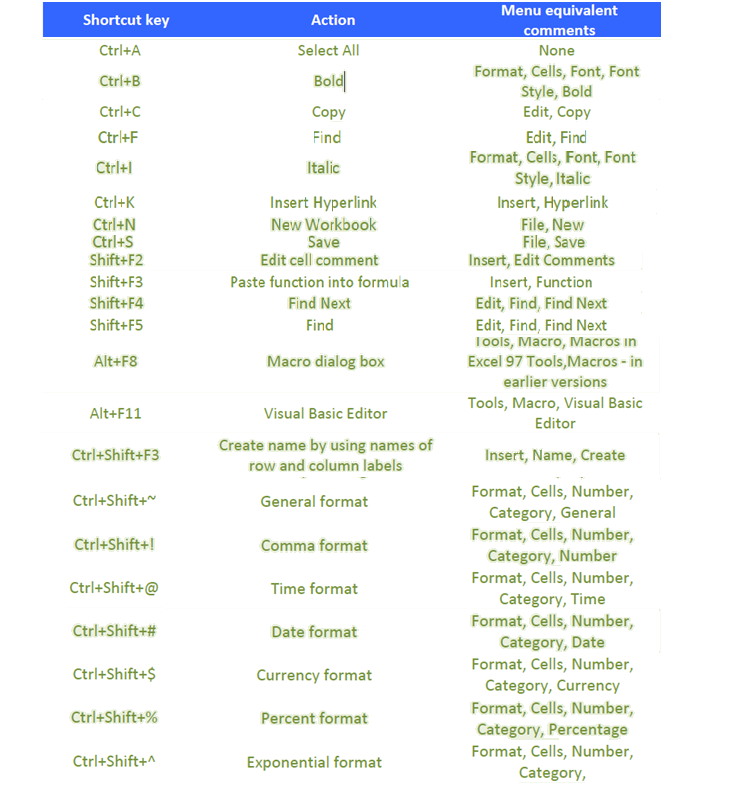 Fortunately, we’ve shortlisted a list of most common and widely used keyboard shortcuts for Microsoft Excel. No wonder, you can do all the navigation manually, but these hacks will save a lot of time as well effort, leaving you to focus only on the important stuffs. Or, another more profound way to fill in excellent MS Excel skills and expertise is through an advanced Excel course in Gurgaon. Encompassing courses like this helps students arm up with advanced skills and take the world in their stride. So, when are you enrolling? Shortcuts play a significant role in every marketer’s or analyst’s life. Since its launch in 1985, MS Excel shortcuts have been helping users across the globe – they help analyze data quickly and efficiently. 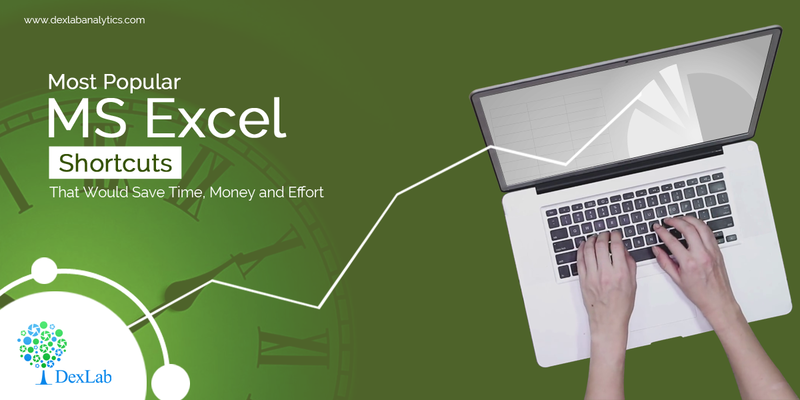 Undoubtedly, Excel spreadsheet is one of the top notch computer applications that helps store, manage and analyze data in tabular form for easy evaluation and scrutiny. To know more about Excel that too in depth, look for an advanced excel VBA institute in Gurgaon. DexLab Analytics can come to your rescue. In the heart of India, specifically in the capital city, Delhi, DexLab Analytics with a core team of industry professionals offers state of the art data analytics training. The institute excels in numerous in-demand skill training, including training on Big Data Hadoop, PySpark, Python, R Programming, Business Analytics, Business Intelligence, SQL, VBA Macros, Ms Dashboards, Data Science, Machine Learning, Deep Learning, Data Visualization using Tableau and Excel. Drop by the site for more details.